Fresh ginger gives this traditional dessert a healthy, flavorful update. This is everyone's holiday favorite, even the busy cook's because it is so easy to make. 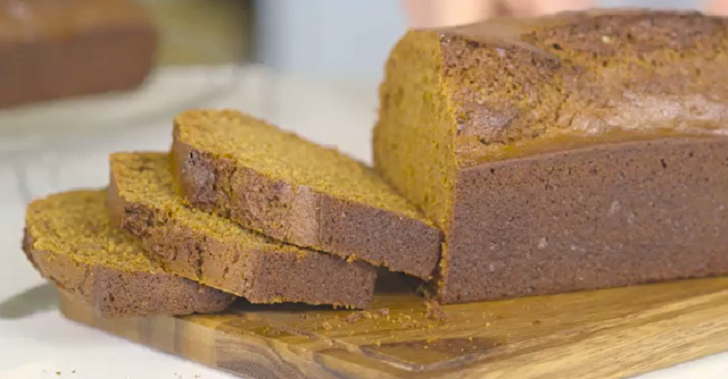 We loved this moist gingerbread. Will make again. Especially good with ice cream. Preheat oven to 350°F with rack in the lower third of the oven. Spray a 9-inch square baking pan with nonstick cooking spray. Line the bottom of the pan with waxed paper, then spray the paper. Dust the entire pan with flour and shake out the excess. In a large bowl, whisk together the flours, cinnamon, and salt; set aside. Scrape batter into the prepared baking pan; bake until cake is set around edges and a toothpick inserted in center comes out clean, about 40 minutes. Cool 10 minutes in the pan, then invert onto a cooling rack. Serve warm or at room temperature, dusted with confectioners’ sugar.